330 million years in the making! 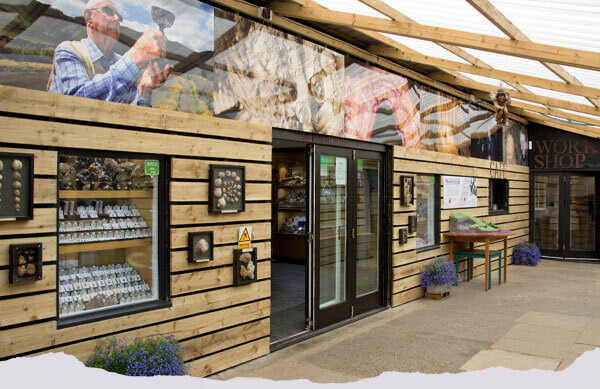 Take a guided tour, enjoy the amazing views across the Hope Valley, browse the well-stocked gift shop and catch your breath in our newly-refurbished visitor centre, café and picnic areas. 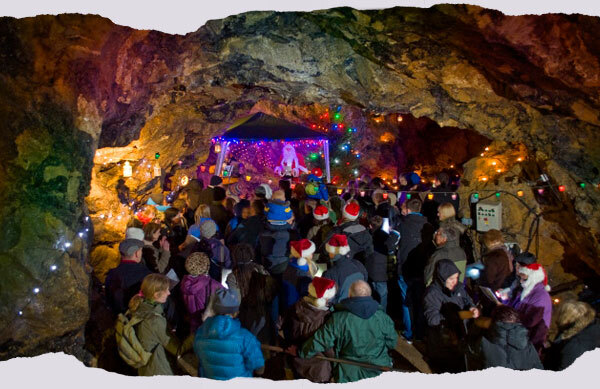 The cavern is open from 10a.m – 5pm every day (except 25th December); the last tour is at 4.20pm (3.20pm between November 1st and February 28th). 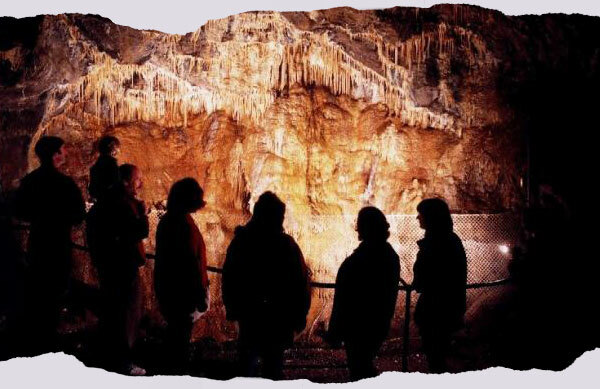 Enjoy a guided tour through our mine and caverns and see some of the finest stalactites and stalagmites in the Peak District with wonderful water worn chambers. 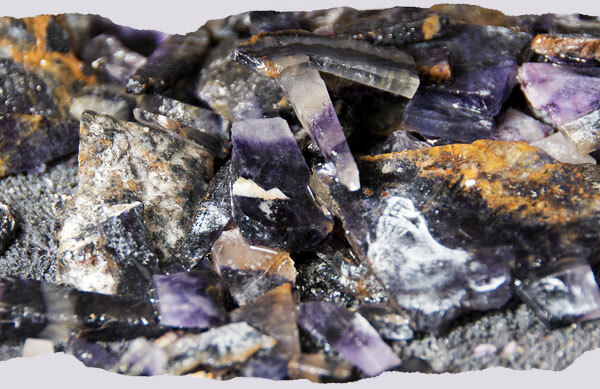 The new museum takes you on a journey from the prehistoric to the modern day via our outstanding collection of Blue John. Everyone’s welcome at our newly refurbished visitor centre – entry is free and you’re welcome to browse the museum, shop and buy refreshments from the café. We love dogs! 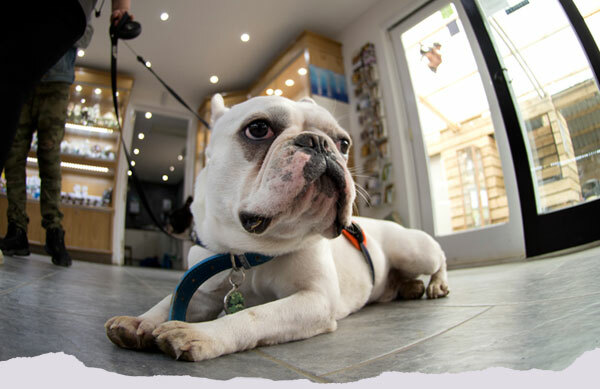 All well-behaved dogs on a lead are welcome in the visitors’ area and cavern. 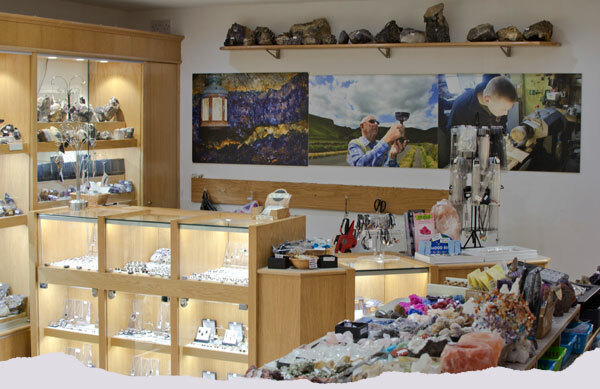 From exclusive Blue John pieces and jewellery made by our craftsmen to pocket money specials, we have something for everyone. We’re located within some of the country’s most most beautiful countryside. You can take in the breathtaking views from the nearby, world famous Mam Tor or visit the charming village of Castleton which is within walking distance. We host annual events including the popular Carols by Candlelight and Easter Egg Hunt. 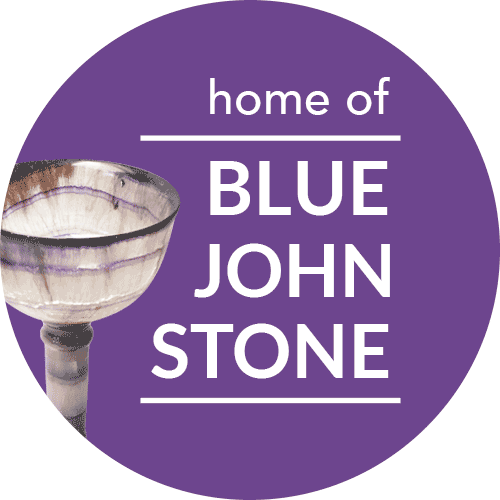 Polish your own Blue John Stone – usually available throughout the school holidays when people of all ages can select, prepare and polish a slice of Blue John Stone to take home. 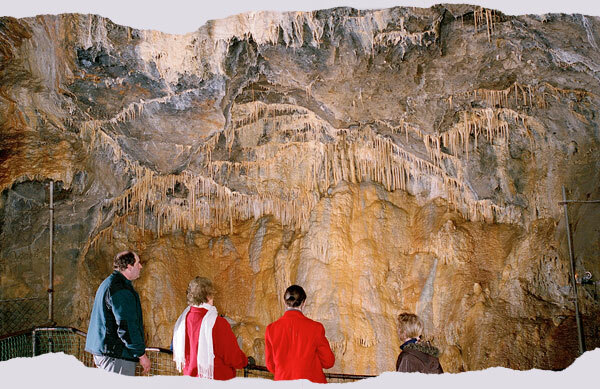 Treak Cliff Cavern is an excellent educational resource used by hundreds of teachers to deliver many aspects of the geography curriculum across all Key Stages. Find about more including special rates for groups on the main Schools page. 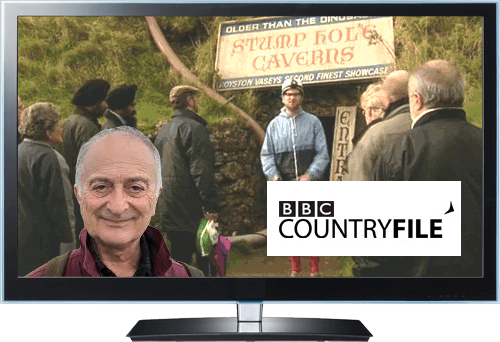 Treak Cliff Cavern has appeared on numerous programmes over the years including Britain’s Ancient Tracks with Tony Robinson on Channel 4, Rory Bremner’s Great British Views on ITV, BBC’s Country File and many more – including The League of Gentlemen! 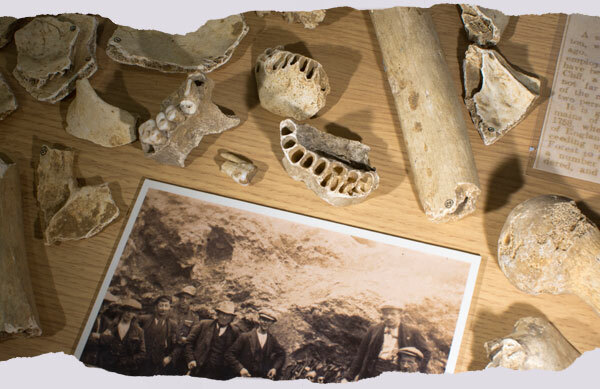 The new Treak Cliff Cavern Interpretation Centre is part-funded by the European Agricultural Fund for Rural Development - to upgrade the visitor offer, by providing new toilets, heritage and interpretation centre. Project reference number: 101006.